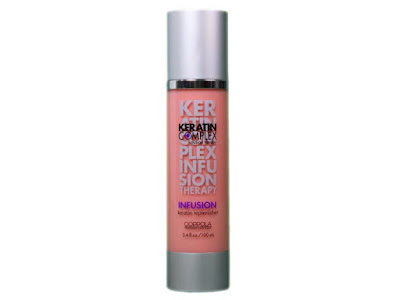 Keratin Complex Infusion is a unique formulation with advanced infusion technology. This high Ph replenisher automatically opens the cuticle and enters to infuse Keratin proteins and emollients into the hair. Its deep penetrating action repairs and revitalizes hair during blow drying or ironing and closes the cuticle to entrap nourishment. So, in other words, it rocks. I use it after I have dried my hair about 75% or until slightly damp, and concentrate on my ends, but distribute it pretty even throughout my hair. A little goes a long way!! In fact, I use this on almost every client and I have had the same bottle for over 2 months! I also love putting it in my dry hair to smooth everything out and tame my fly aways. I am pretty confident that I could not live without this product, (or wouldn't want to anyway!) and I am sure once you try it, you will feel the same way! 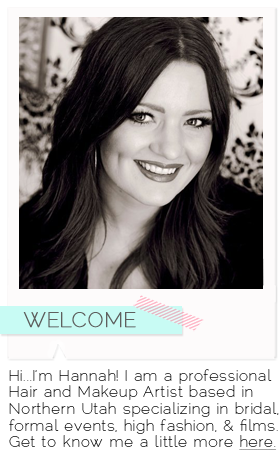 Interested in the Keratin Complex Smoothing Therapy? Click HERE to see amazing before and after pictures! Not sure you want to commit to having straight smooth hair for 4-6 months? That is what is so great about the Keratin Complex Infusion! You can get a little taste of how keratin can heal and smooth your hair and only lasts for 1 wash. Obviously the results will not be as dramatic as with the actual Keratin Complex Therapy, but it will improve the quality of your hair immensely!